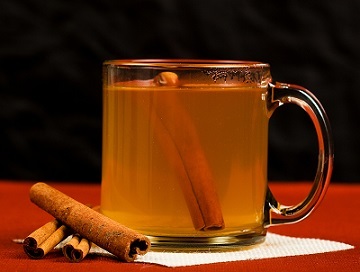 Mulled Cider is not only appreciated in New England, although that region of the U.S. does have a reputation for enjoying the beverage in the fall and winter months. The restaurant guests here in the Pacific Northwest like this drink on a cool or cold evening, as well. The cinnamon scent of this hot cider heating on the stove is a wonderful addition at home, especially during the holiday seasons. Sharing a cozy evening with a mug of hot cider and special company is really something everyone should appreciate. I am told by a number of friends that Cider is also a favorite drink in England, Canada, France, Germany, Spain and some other parts of Europe. It is reassuring to know we can all agree on some things. This is the one we share on fall and winter events to create warm and cozy evenings with loved ones. 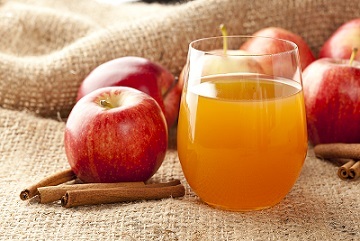 In America, the term "cider" usually refers to unfermented (non-alcoholic) apple juice. "Hard cider" is the term Americans use for fermented apple juice. 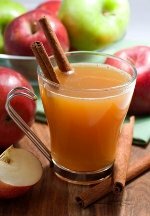 Enjoy your hot cider recipe on a cozy evening at home with special company!